I can’t believe the end of December is here. That means I need to figure out my New Year’s Eve plans. It’s fairly discouraging, because so many of my friends are out of town this time of year. They’re off to some lovely warm place that’s sunny and a plane ride away from the freezing rain that’s here in Toronto. Over 250,000 people in the Greater Toronto Area (as my Torontonians know it, the GTA) are out of power, and I was too for the better part of my day. So not only is it an icy death trap outside with toppled trees and petrified cars, but it’s no use in curling up with a bowl of popcorn and Netflix because the power’s out. Womp, womp. 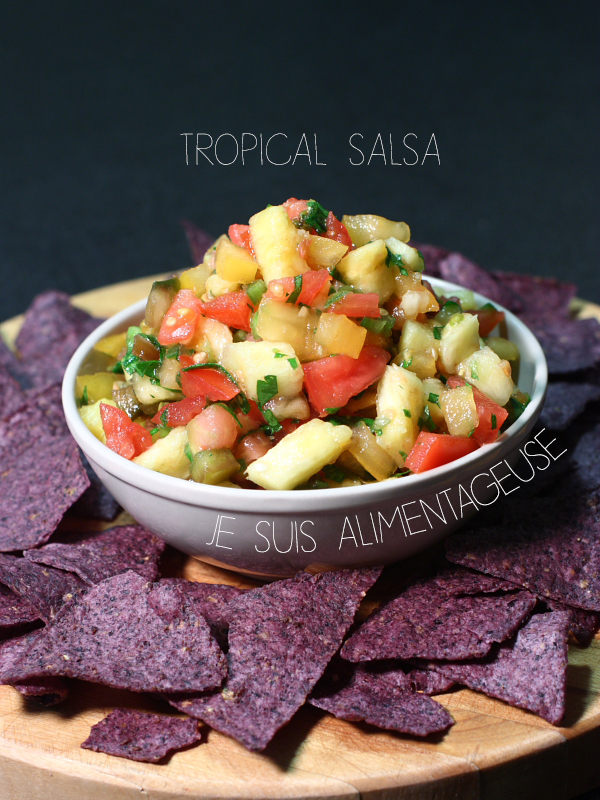 Here’s to transporting your taste buds to a happier place with some tropical salsa. It’s gorgeous outside, but I can’t help but feel sorry for the little saplings around my grand parents’ house. 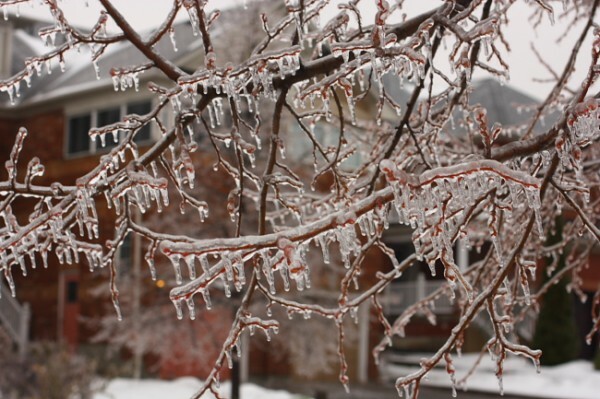 On my way to Loblaws to get some supplies for the power outage, the drooping little baby trees line the lightless roads with their frail limbs sagging with little icicles. I am reminded at how privileged I am as I walk into the grocery store. While some people are without power or in the cold, I am lucky enough to have the means to drive myself to my local grocery store and am faced with the possibilities of summer flavours. I bask in the fluorescent lighting, with the overwhelming feeling of gratitude for my circumstantial luck of having been born in Canada. I long for the taste of sunshine and suddenly wish for the sweetness of heirloom tomatoes. People give me weird looks, circumventing me to reach the red sea of tomatoes on either side of the impressive, out-of-season stock of heirlooms. I pick out three, for my OCD and for a trio of flavours and colour in my tropical salsa. I grab one of those convenient plastic-wrapped pre-cut pineapples, despite how lazy I feel in doing so. The daylight is dwindling and the power’s still out. I don’t have time to carve out some pineapple today. Every salsa needs a vessel on which to travel into my mouth. I go and find my favourite corn chips, only to find the shelves inundated with different varieties: sweet potato chips, lentil chips, black bean chips, until I see them. Low sodium Que Pasa in blue corny goodness is hiding on the bottom shelf. I choose you, Pikachu. Combine all ingredients and gently mix together. Let sit in the fridge for about an hour to to let the flavours marry together, but if you're hungry, it's great fresh as well. Serve with tortilla chips, and enjoy! Hahaha thanks Heather. The city workers have been doing a great job cleaning up the roads despite the crazy amount of trees and power lines downed all over the city!